Welcome to TheSmartArtist.com! I’m so happy you’re here! This is a truly exciting day for me. I am writing this post while daydreaming over a beautiful harbour on Salt Spring Island in British Columbia, Canada. I’ve managed to sneak away for a little rest and relaxation and more importantly, a little time to tap into and rejuvenate my own creativity. I am ecstatic to check off a huge to-do that’s been on my list for over a year. We have officially launched The Smart Artist website! As anyone who has ever launched a business (or produced a show or exhibit), you’ll know how much behind-the-scenes work takes place to make these things happen. I just want to say a huge shout-out to my friends and family who have supported me in so many ways over the past months; I am wholeheartedly grateful to you. 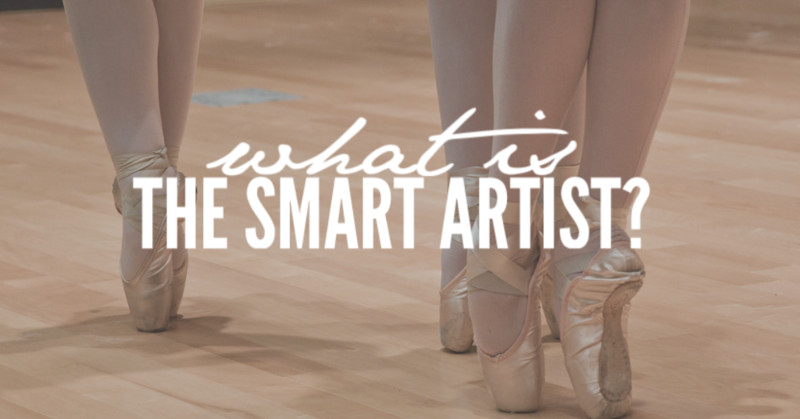 Now, the reason why we’re here, and the question that has been bombarding my Facebook inbox- What is The Smart Artist? The smart artist is an online community providing free and low-cost business skills training for artists of all disciplines to aid them in their professional careers. The idea was born in 2015 after I hosted a series of tax workshops for artists with my parent company, The Corporate Canuck. The feedback I got was amazing, and the number one request was for MORE sessions like the tax ones and on even more topics. The Smart Artist was born out of my desire to give back to the arts communities that have given so much to me over the years. It is an opportunity for me to help address the knowledge gaps that act as barriers to making a true career as an artist. We do this by building an online community of resources that are accessible to artists of any genre. Musicians, visual artists, producers, dancers- our community believes that the shared experience is invaluable and provides training resources that apply across a broad variety of disciplines. I’d like to invite you now to subscribe to our community newsletter; just fill in your info on the bar above or click the link. 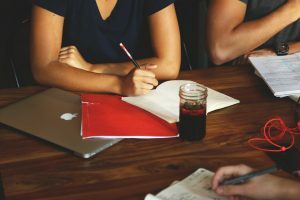 Not only will you get a monthly newsletter with tips and tricks to build your skills, but you’ll also get a link to our private Facebook group. This is the pulse of our community where participants are encouraged to share their trials, tribulations, and CELEBRATIONS as an arts professional. You’ll also get sneak peeks of upcoming courses, access to free video training, and advance notice when online programs open for registration. I believe in giving back, and as part of my business model I have created The Smart Artist scholarship fund. A portion of all revenue generated through thesmartartist.com will fund an annual series of scholarships for artists wishing to pursue career development and training opportunities. The first round of scholarships will be awarded in September of 2016; be sure to subscribe to our newsletter to be notified when applications open online. I’d like to thank you for joining me today and say congratulations- you’ve taken the first step in your journey to becoming a knowledgeable and successful artist. I can’t wait to connect with you online and in real life.